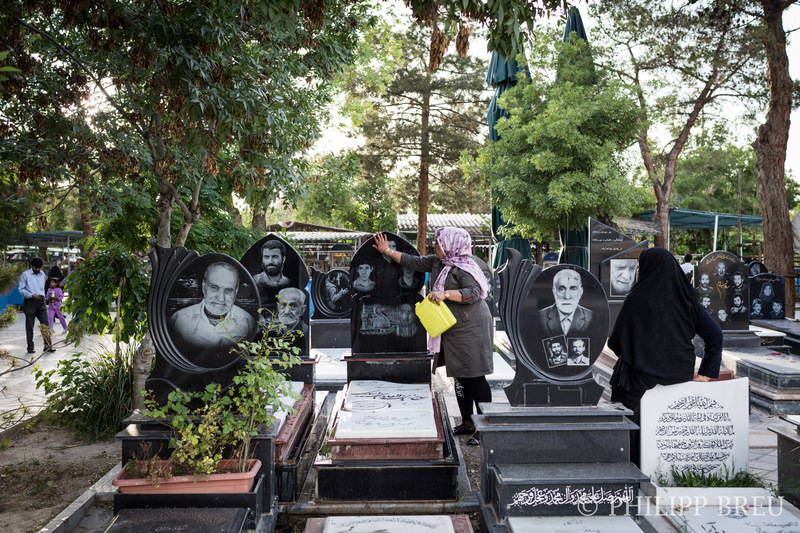 The central cemetery of Iran’s capital Tehran, is not only the biggest cemetery of the country, but also one of the biggest cemetery of the world. 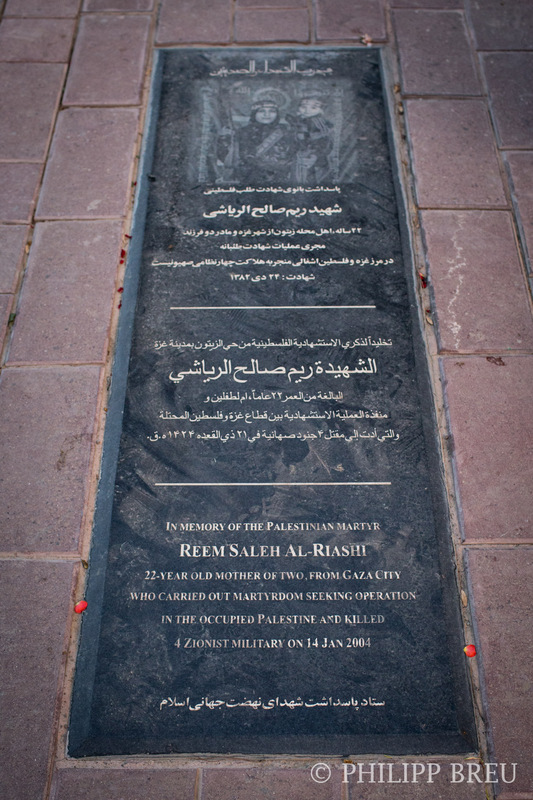 It is the final resting place to approximately 1.3 mio. 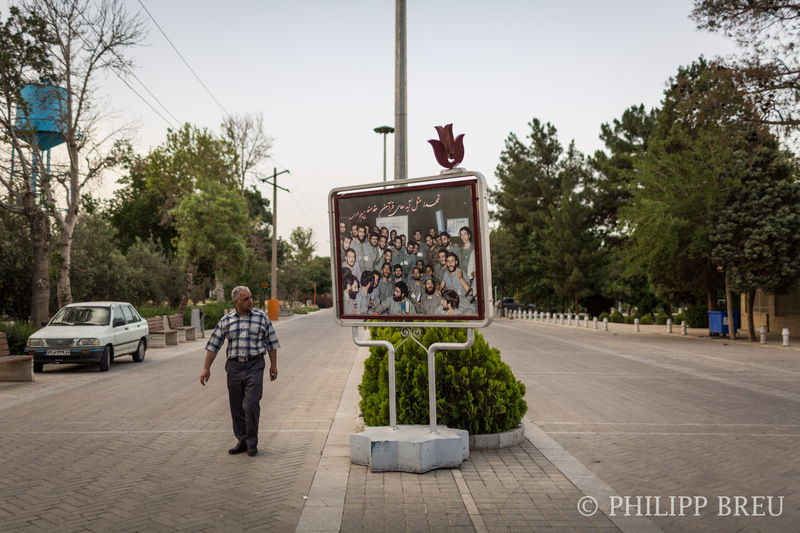 people, and lies in the very south of the city. 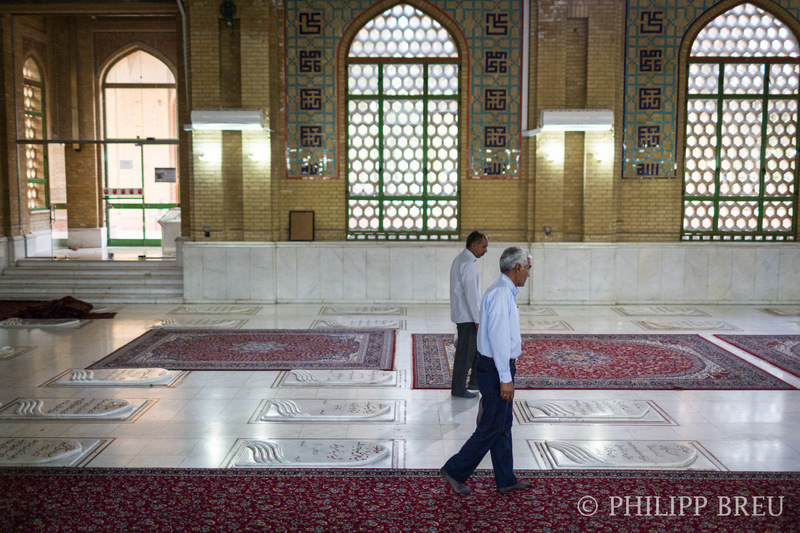 The following photo gallery is supposed to give you a general idea of the place, and the special buildings it hosts. 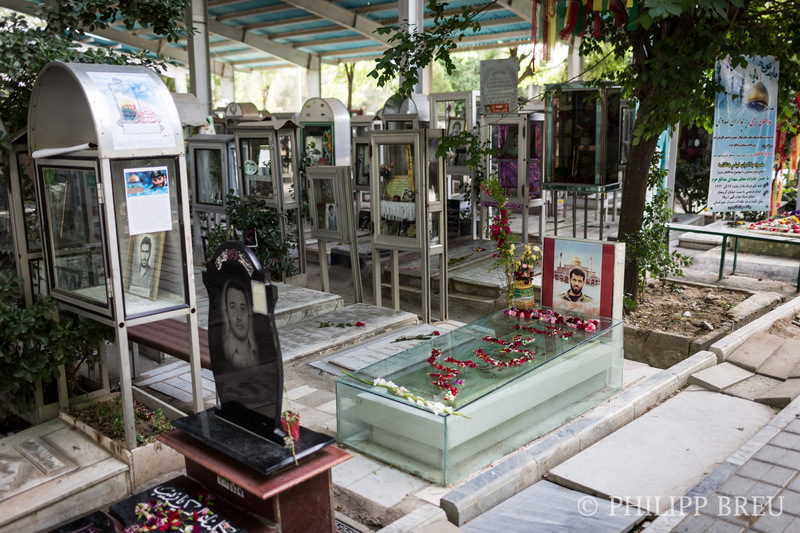 There are isolated sections for the martyrs of the Iran-Iraq war, sections for Iranians martyred during the Hajj to Mekka, defenders of Islam, Iraqi-Kurdish victims of the 1988 gas attacks on Halabja, and more recently, a visitor with a sharp eye can easily find the graves of Iranian soldiers that gave their lives in Syria. 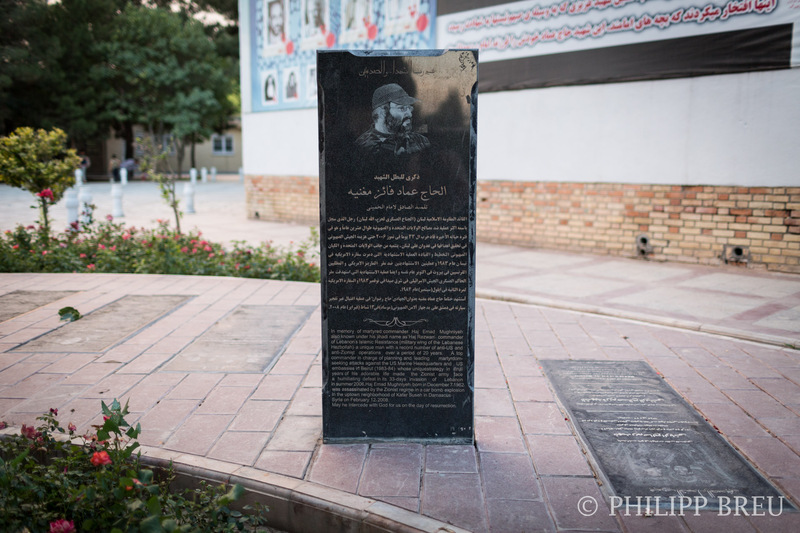 Iran’s Al-Quds force is present in this country with an unknown number of combatants, thus an unknown number of martyrs, too. 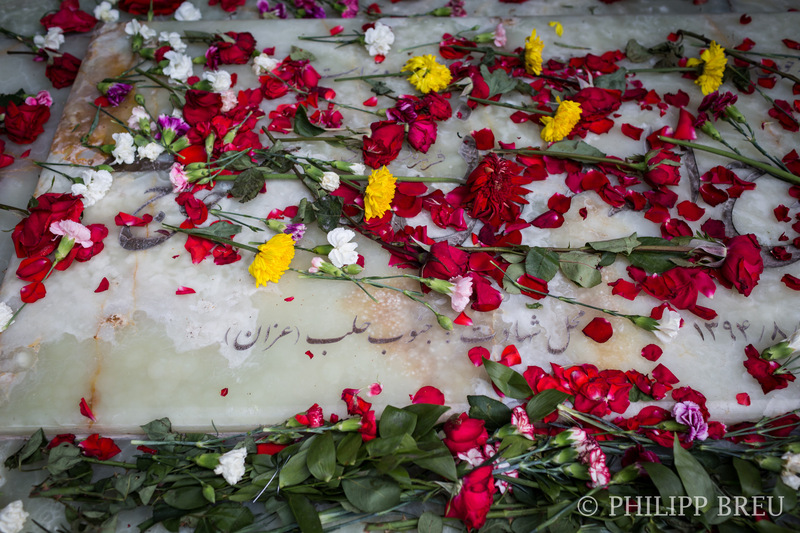 It is believed to be around 400 currently. 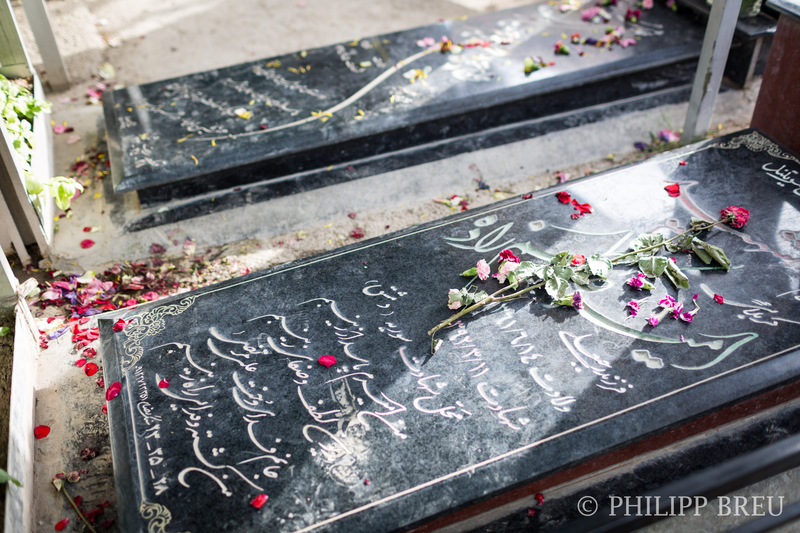 They are buried usually in the cemeteries of their home town. 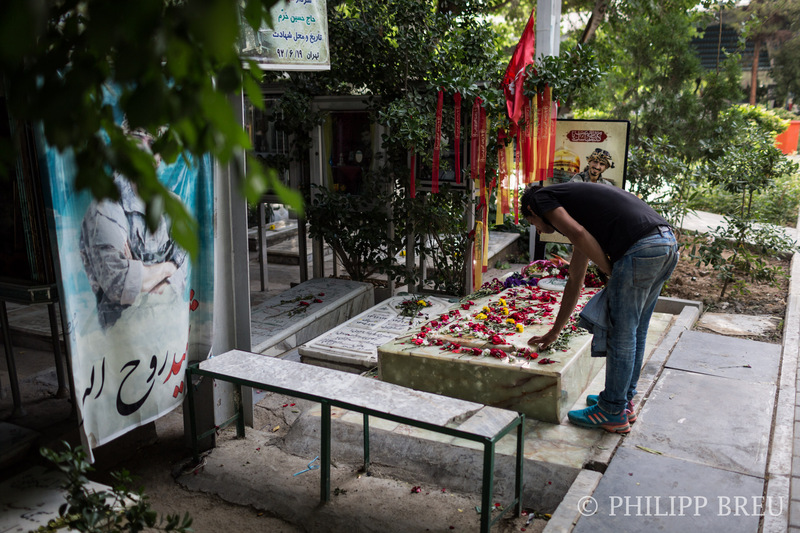 Because Tehran is Iran’s biggest city, logically most of the Iranians martyred in Syria can be found in Behesht-e Zahra. 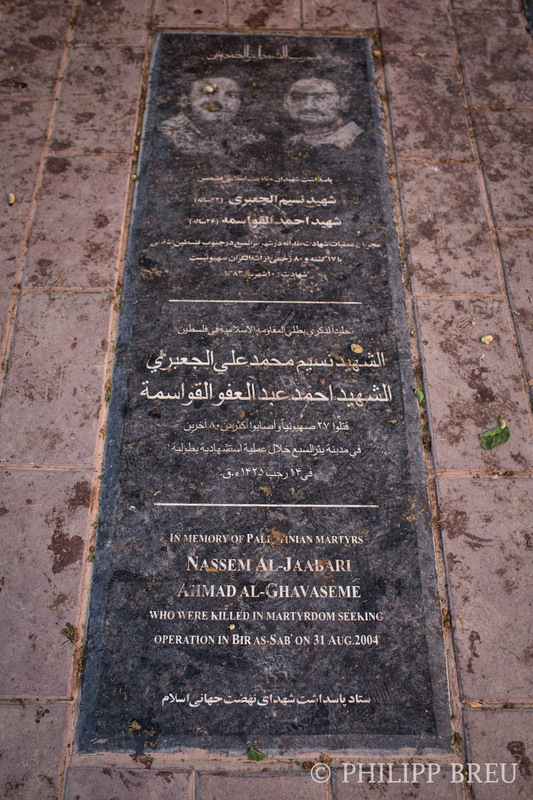 Their graves are usually marked with locations like “Halab” (Aleppo), “Dimashq” (Damascus), or simply “Sooria” (Syria). 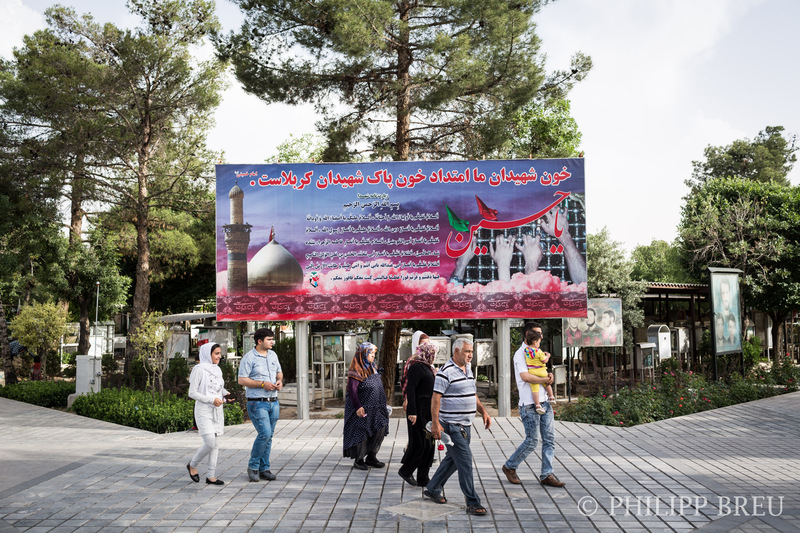 A group of people are passing near a sign with a quote by Ayatollah Imam Chomeini “Our martyrs’ blood is the continuation of martyrs of Karbala”, referring to the victims of Iran-Iraq war. 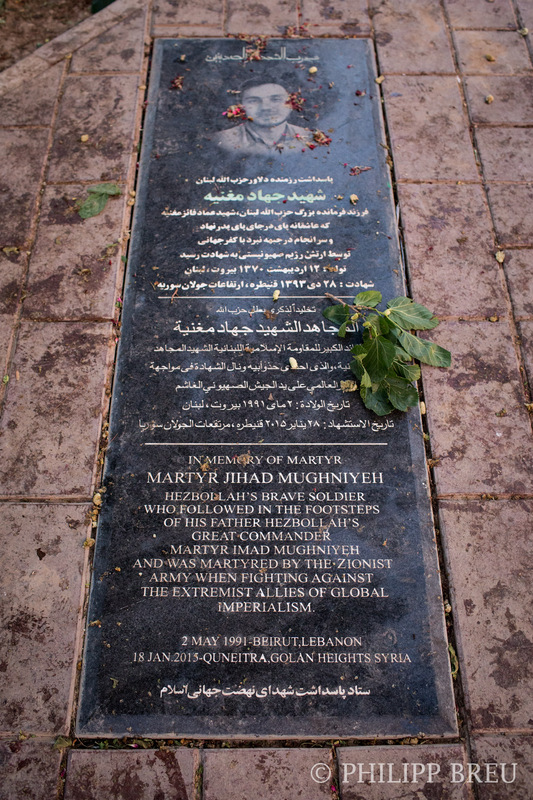 The grave of a martyr that died in Syria. 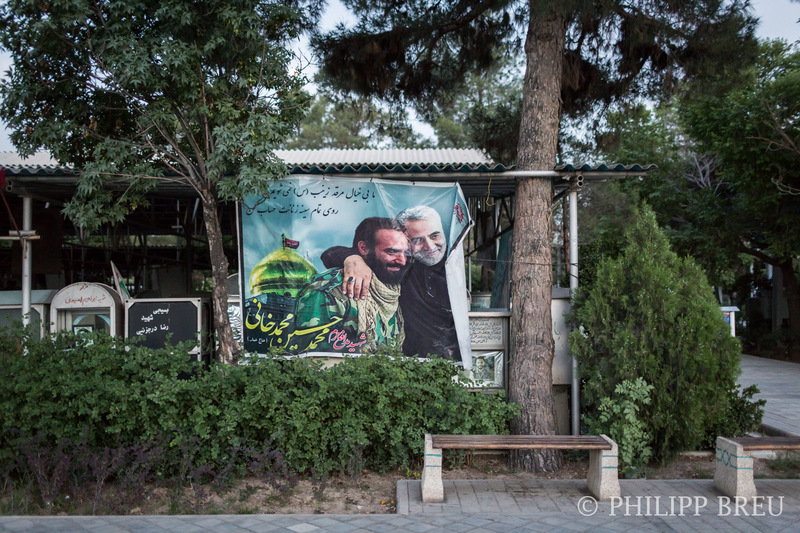 A photo of Qasem Soleimani, the commander of Iran’s Al-Quds force, is showing himself with an Iranian whose grave can now be found at this cemetery. 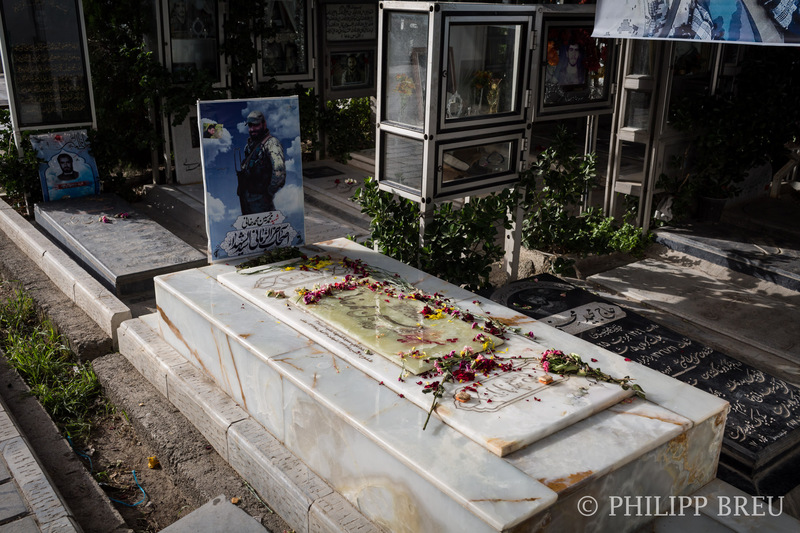 One of many graves of Iranians that have fallen in Syria. 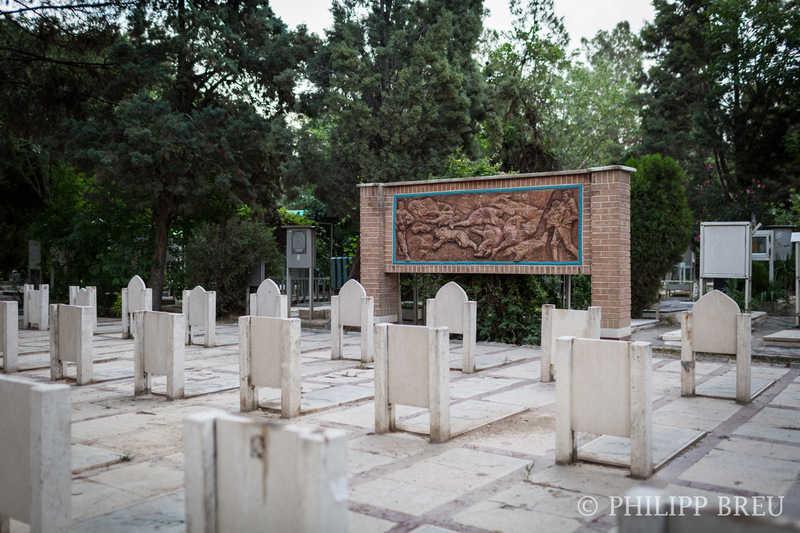 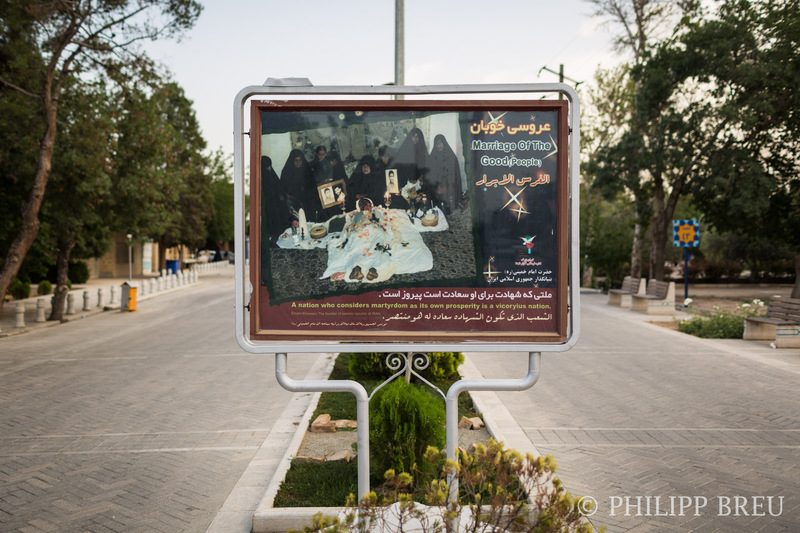 The graves to the right are devoted to Iranian soldiers martyred in the Iran-Iraq war. 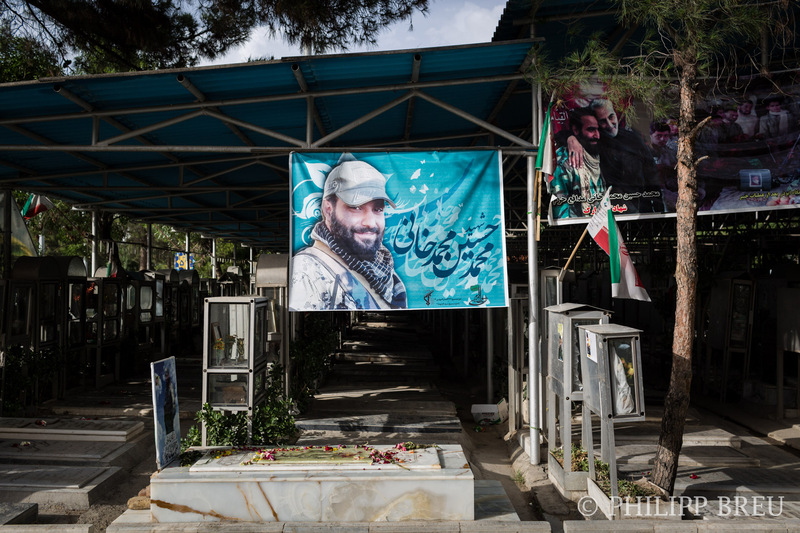 Because Behesht-e Zahra’s martyr section was planned before the Syrian civil war, the new martyrs are buried in places where initially no graves were meant to be set up. 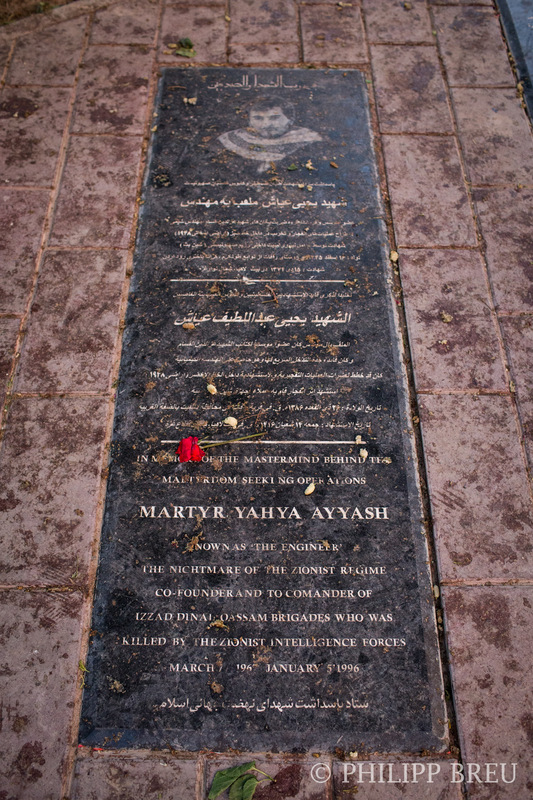 The markings of this grave say “Halab” (Aleppo). 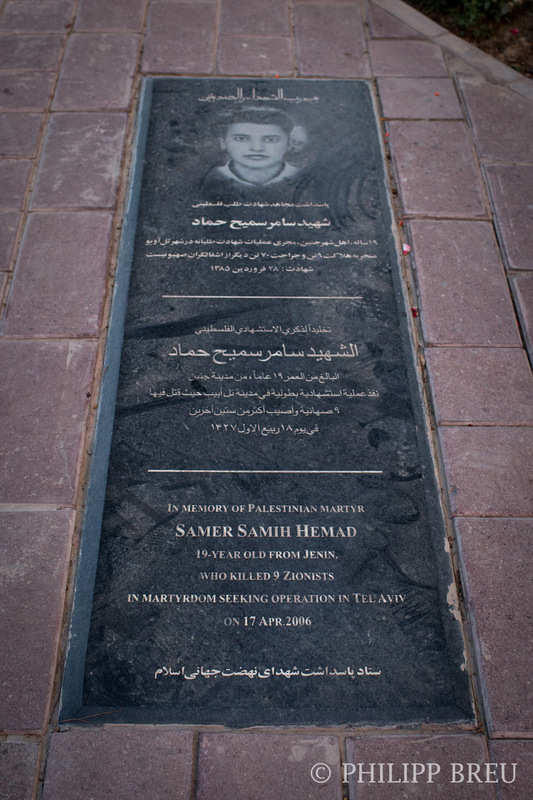 The markings on this one also say “Halab” (Aleppo). 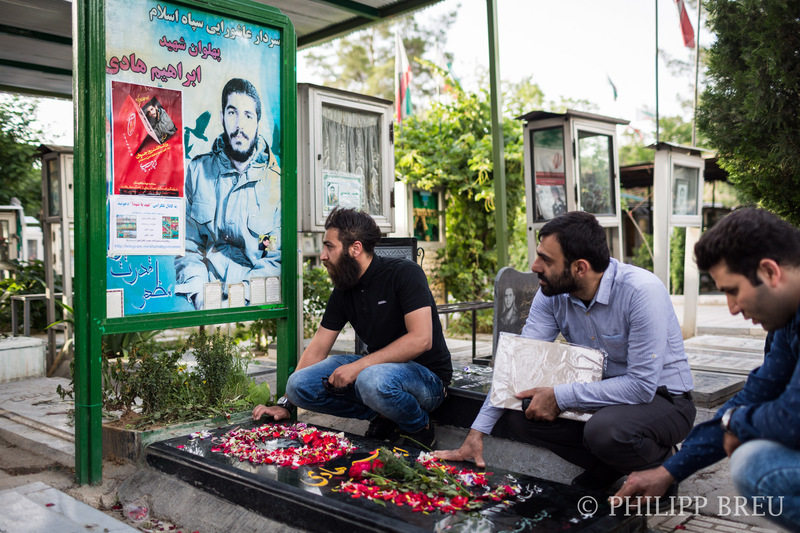 A visitor pays his tribute to a martyr fallen in Syria. 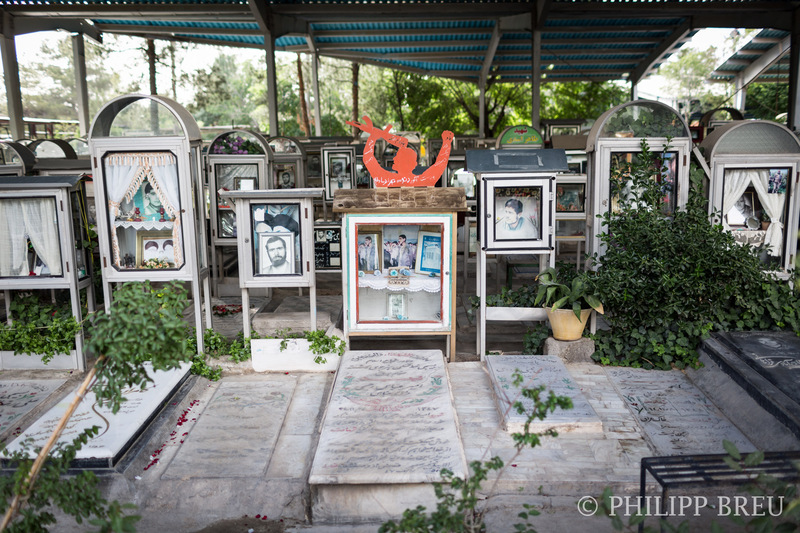 More graves of Iranians that perished in Syria. 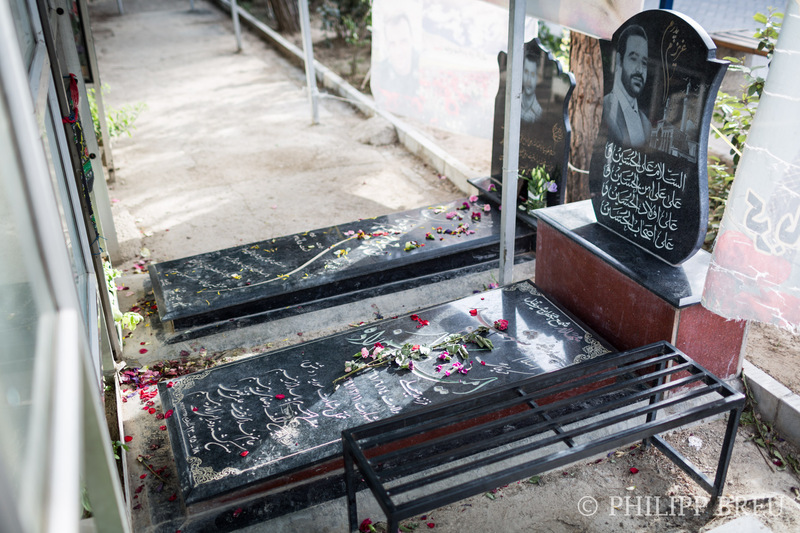 Three men are paying their respect to a martyr that has been killed in Syria. 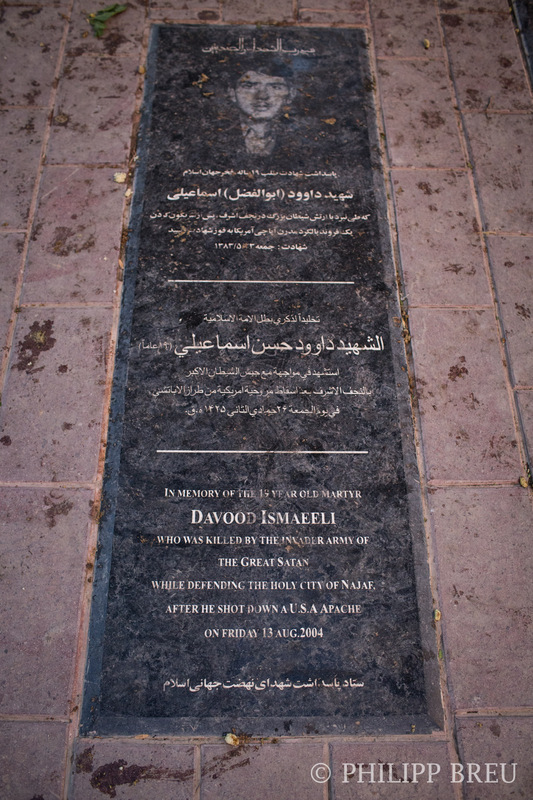 Detail of the previous photo – this one says “Dimashq” (Damascus) as final resting place. 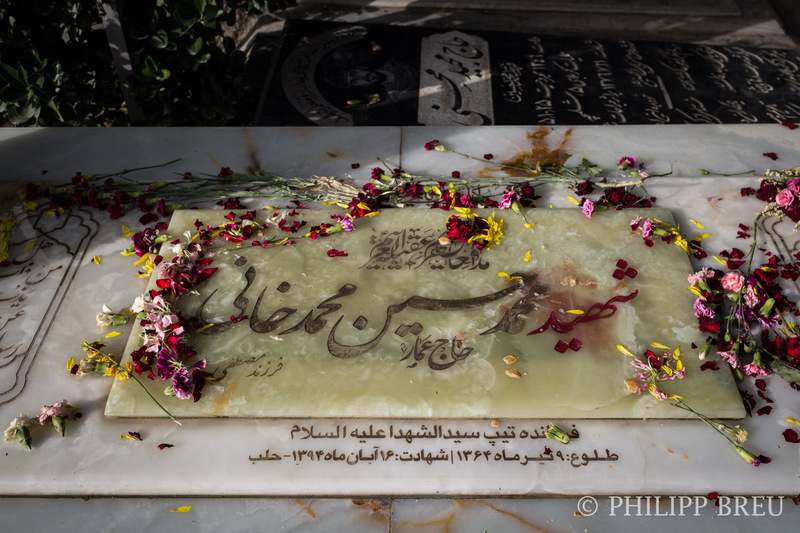 The mother of a martyr. 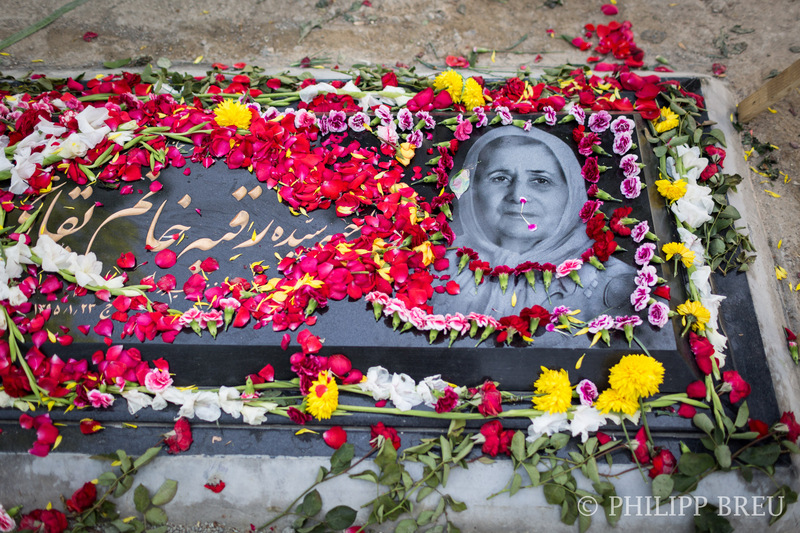 She also has gained a special status for bearing children that have been martyred. 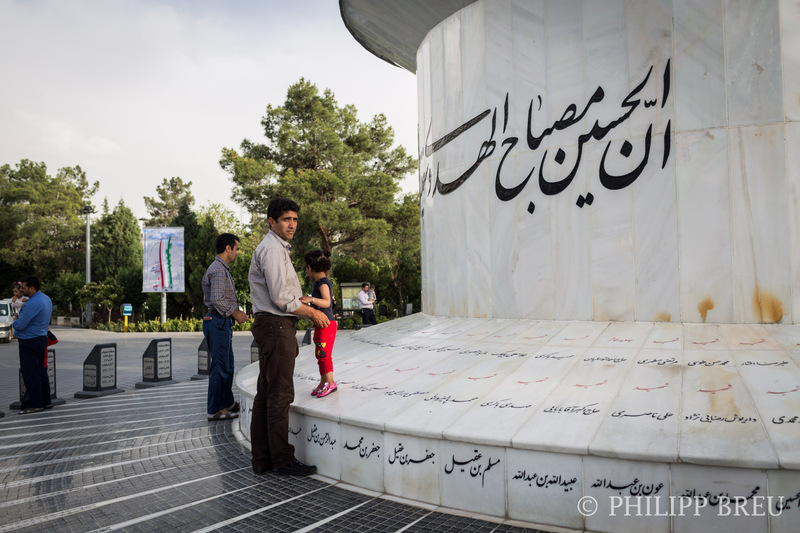 This section of Behesht-e Zahra is devoted to the over 400 victims of the stampede during the Hajj in Saudi-Arabia 2015. 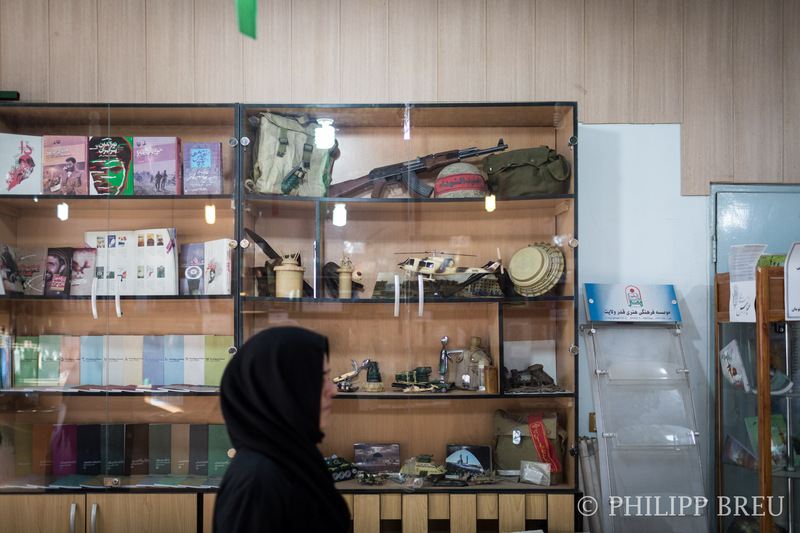 A shop in the cemetery allows visitors to browse and shop for souvenirs and gifts that are honouring martyrs and are promoting resistance culture. 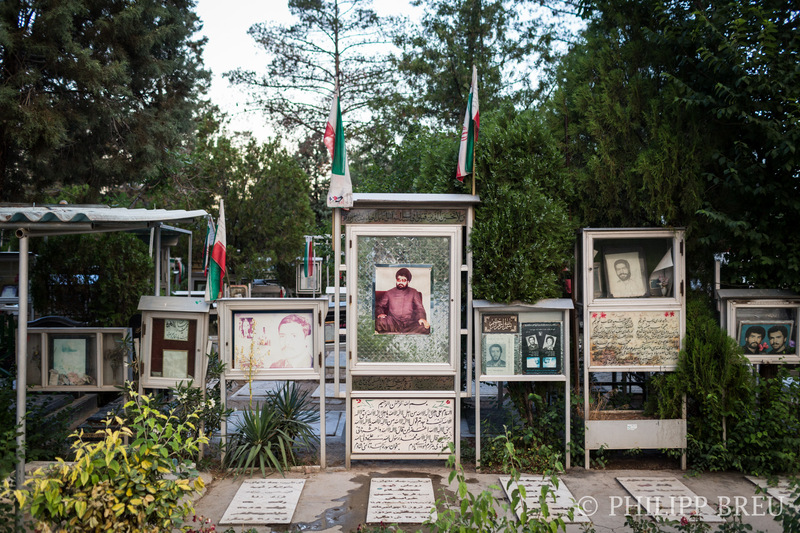 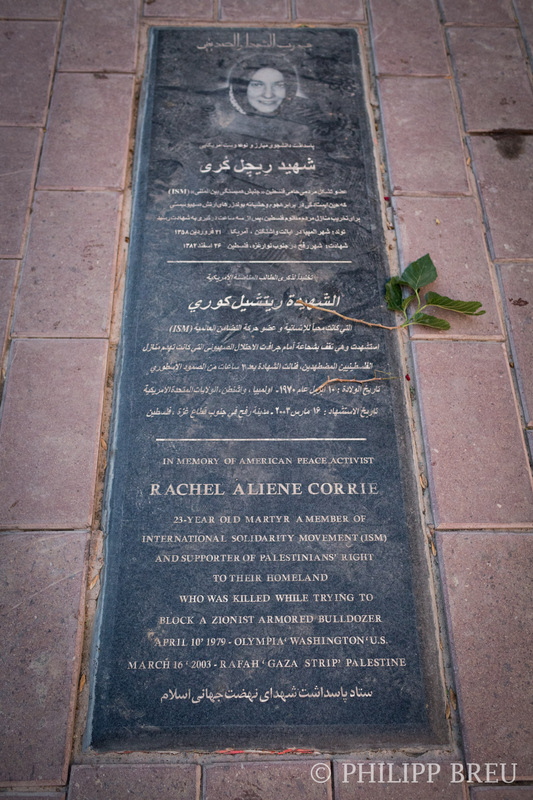 Interestingly, there is a section for the victims of the gas attack on Halabja from 1988. 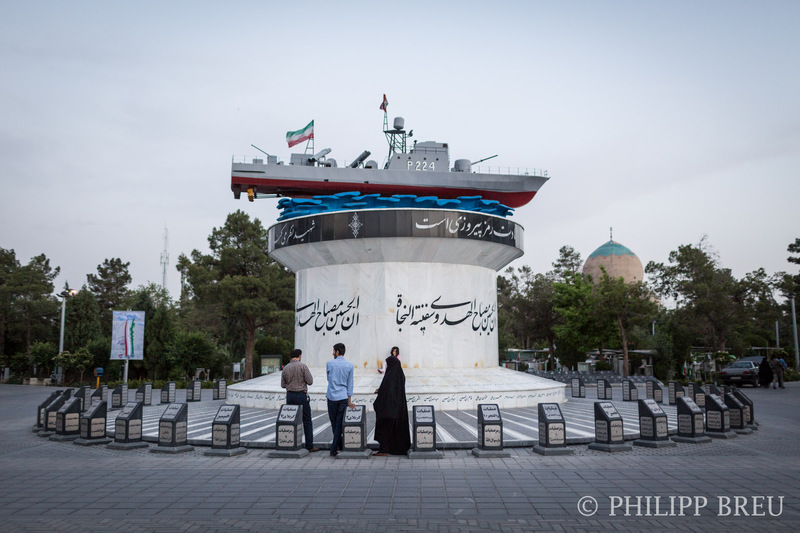 Probably because Iraq was an arch-enemy of Iran back then and because Iranian soldiers entered the city first after it was gassed. 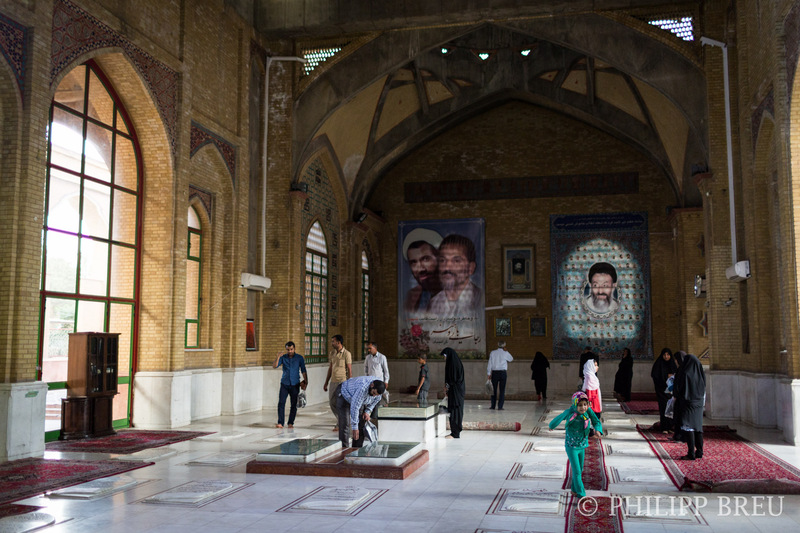 This hall serves as a special mausoleum erected for the victims of the attack on prime minister Mohammed Beheshti and roughly 70 other victims. 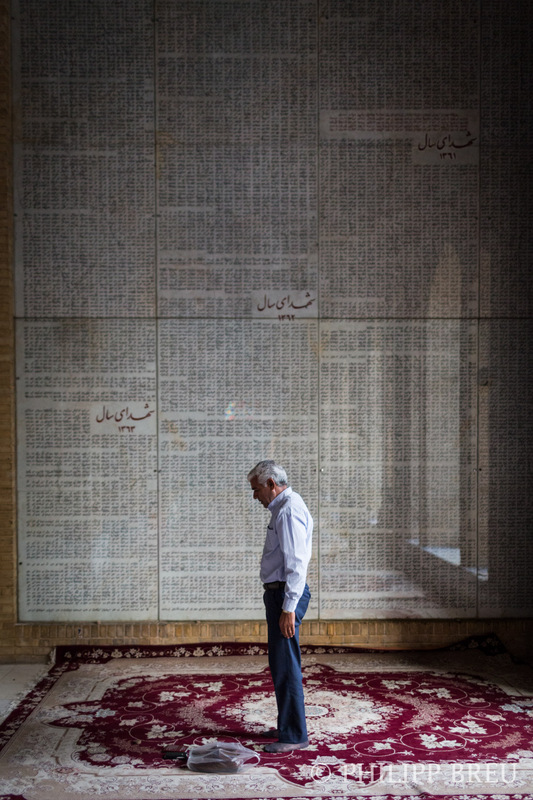 A man is praying in front of a list of victims from Iran-Iraq war. 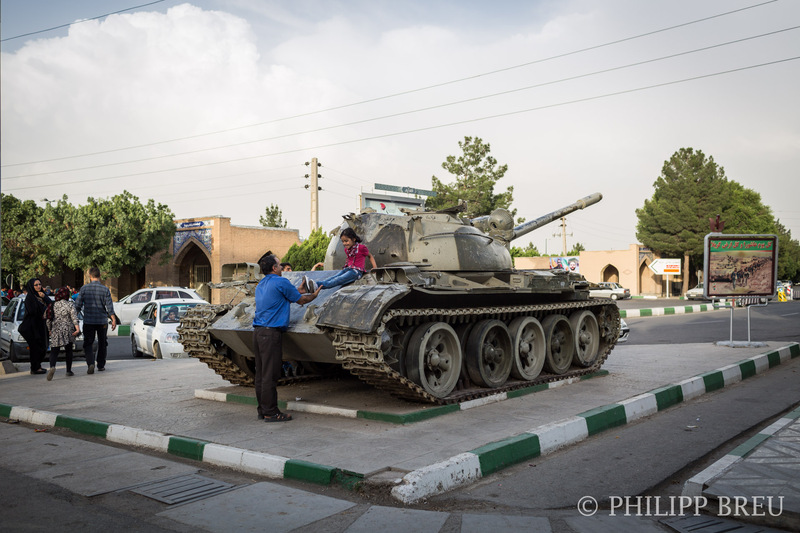 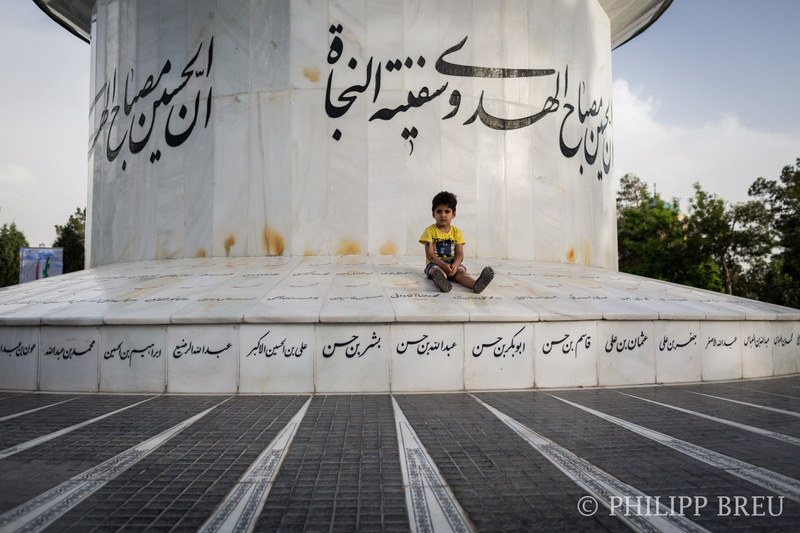 A boy sits on a memorial devoted to Iranian navy soldiers that died during the Iran-Iraq war between 1980-1988. 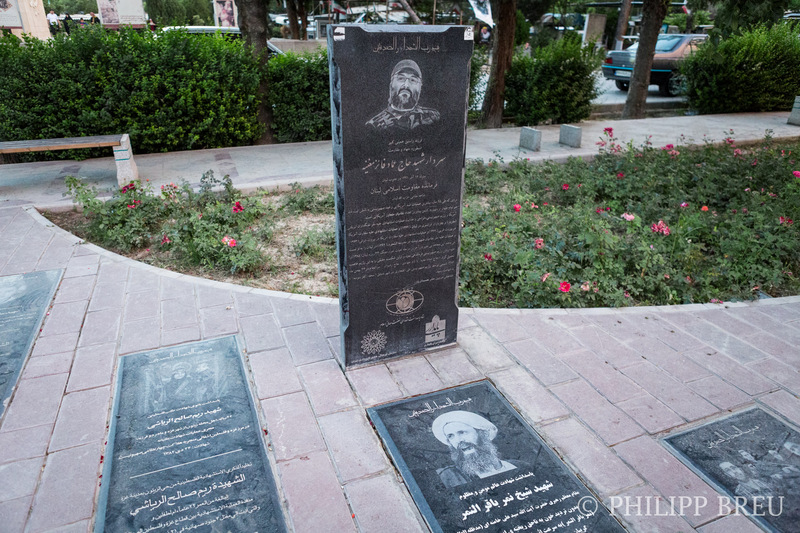 The following section of photographs shows all the people, that have earned a spot in the section for non-Iranian martyrs for “defending Islam” or for carrying out attacks against Israel and its citizens, among other examples. 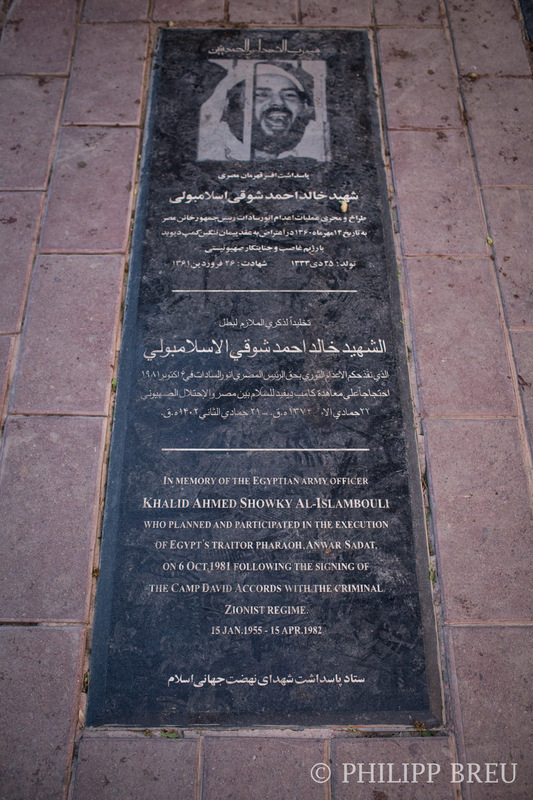 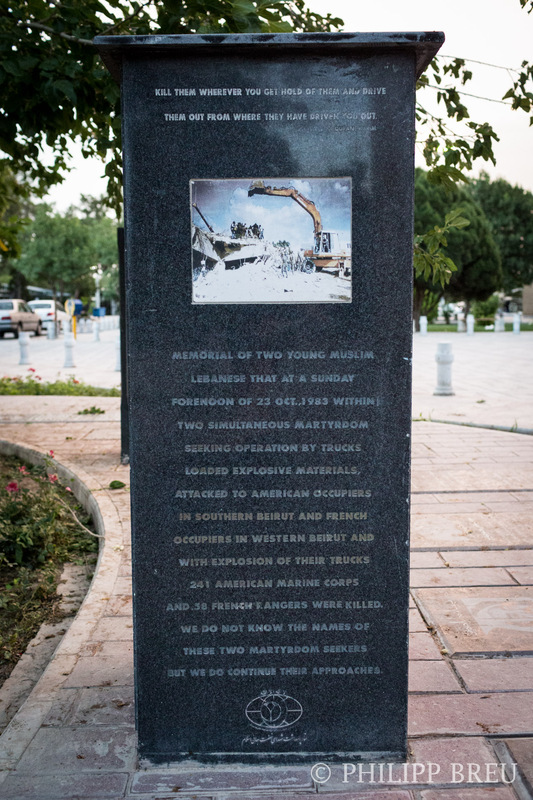 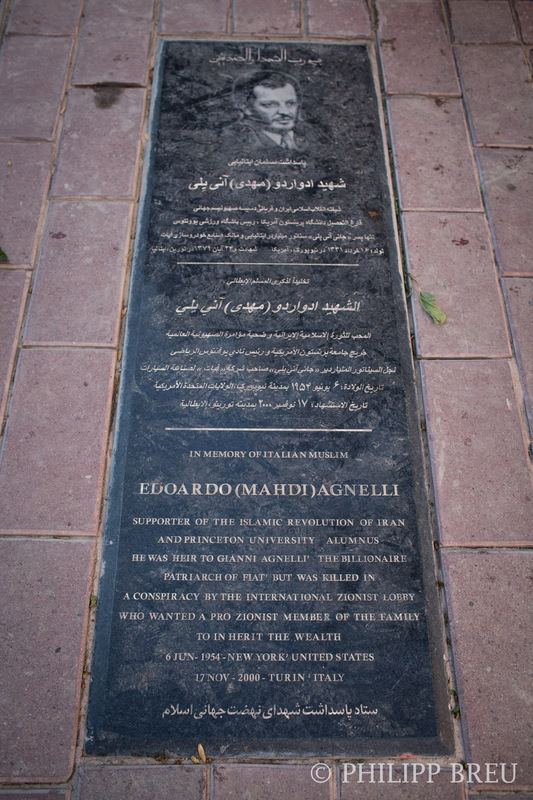 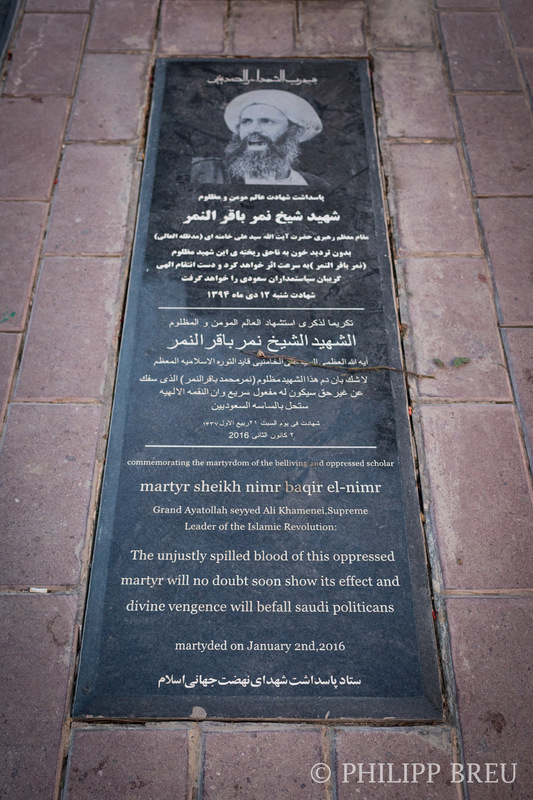 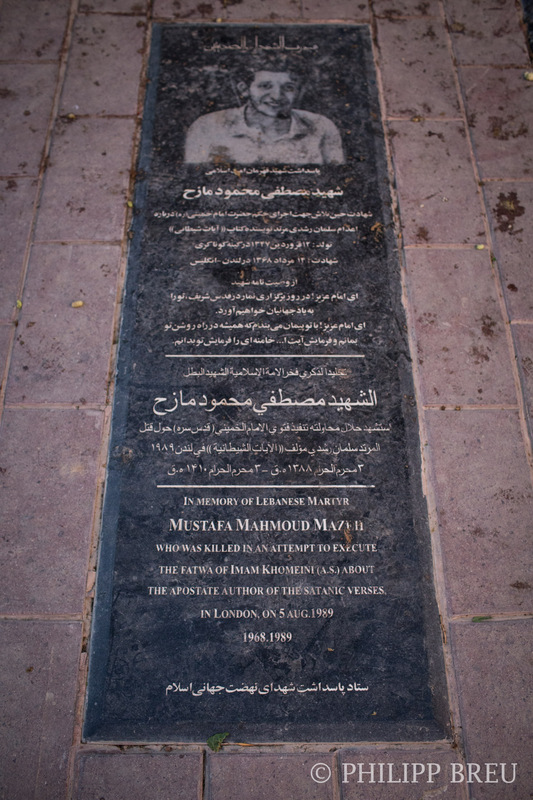 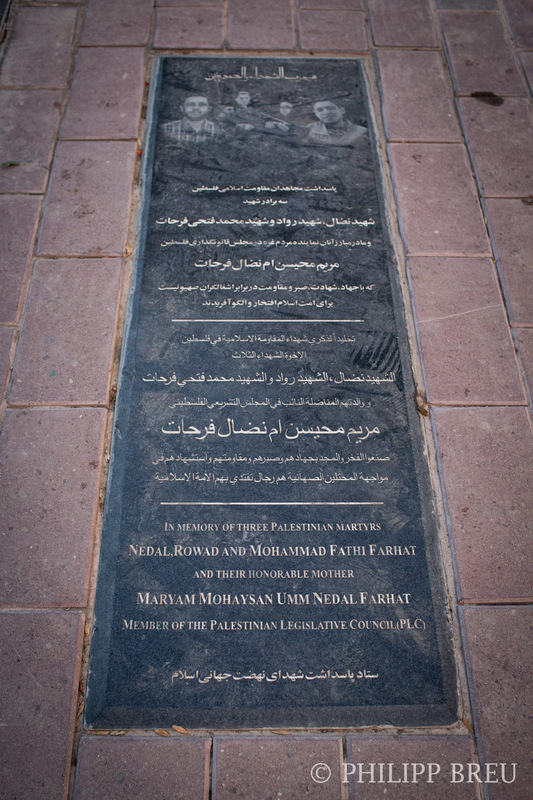 The memorial stone for Imad Mughniyyah, Lebanese Shia party Hezbollah’s military commander, killed in 2008. 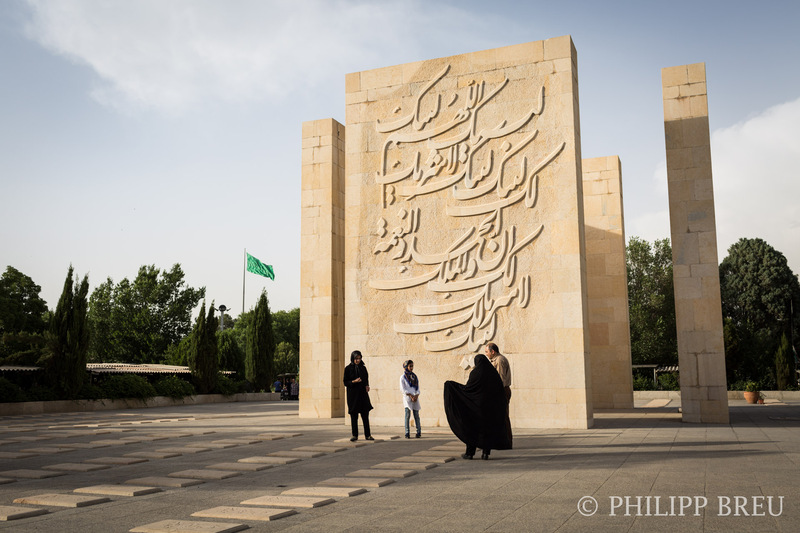 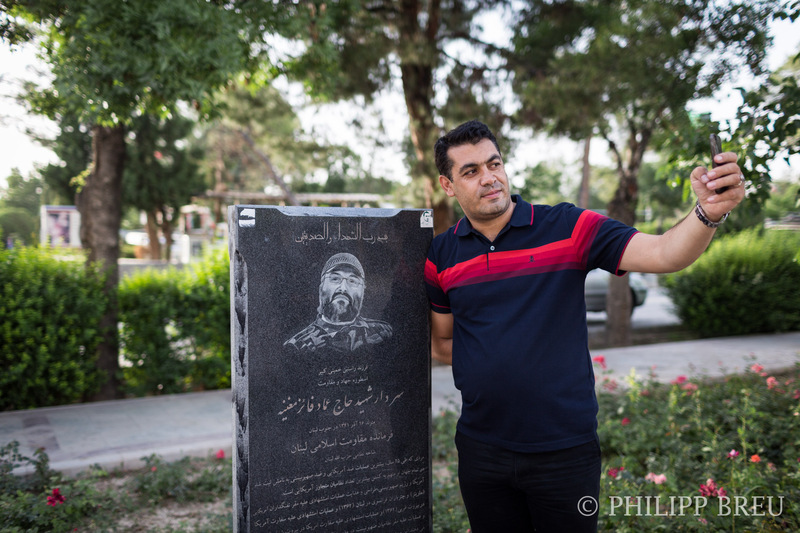 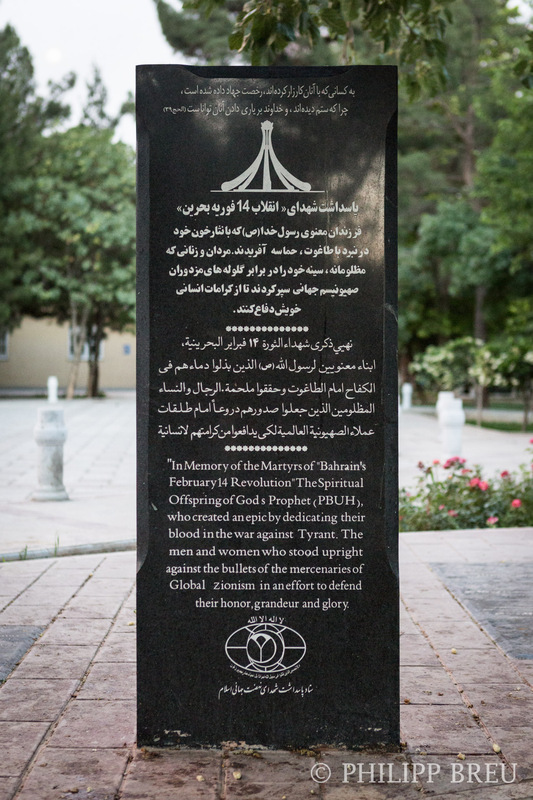 A Iranian visitor takes a selfie with Imad Mughniyyah’s memorial stone. 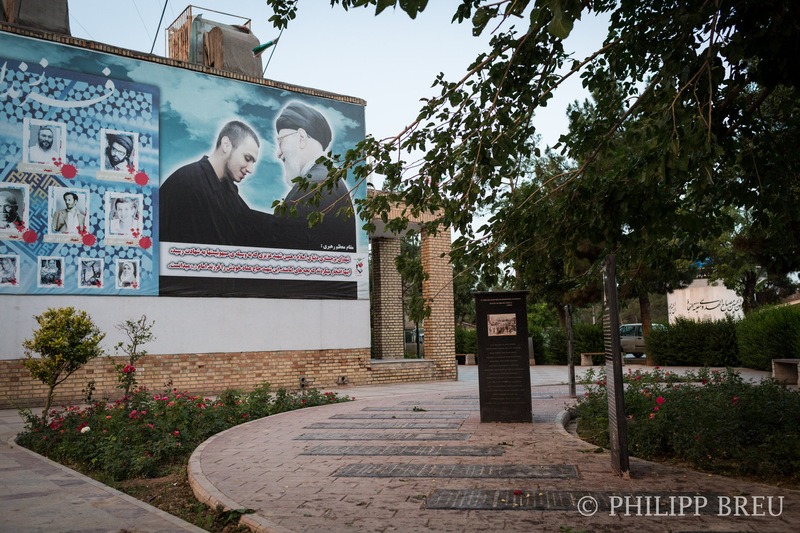 The young man on the wall is Imad Mughniyyah’s son Jihad Mughniyyah, meeting Iran’s supreme leader Ayatollah Ali Khamenei.